1. How YOU can get Google to stream ads onto your website for free. 2. 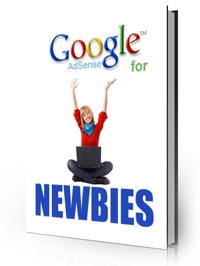 How Google AdSense ads are specially selected to match your site’s topic. 3. How YOU earn money every time a visitor to your site clicks on one of the ads. 4. The difference between putting ads where they’ll be seen on your site and where they’ll be overlooked—would you believe it can make the difference in a click-through rate of 2.3% versus 40%??? 5. How YOU can get killer content for your site that you don’t have to write yourself! 6. How YOU can use a few simple tools to direct massive amounts of traffic to your site. 7. How YOU can automate your content, yet avoid being blacklisted by the major search engines for doing so. 8. The secrets of keyword-rich content—what it means, what it does, how to get it! 9. How YOU can figure out which keywords will bring you the most money!